Listen to Adam Brooks' "Business Intelligence Report" for the week of June 2, 2014. 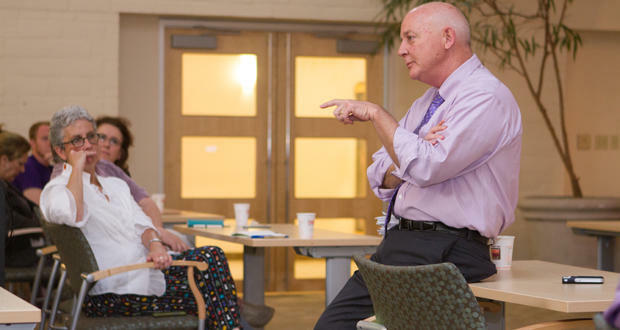 Dan Straughan, right, executive director of the Oklahoma City Homeless Alliance, fields questions after presenting the results of an annual survey of the city’s homeless population at United Way headquarters in Oklahoma City on Friday. The number of homeless people in Oklahoma City appears to be falling, but advocates say they could help more people find a place to live, if they had more workers to help. A recent survey found about 1,400 homeless people in Oklahoma City. That’s about 380 people less than last year. The Oklahoma City Homeless Alliance said that it has enough housing for 10 people each month. But it only has enough caseworkers to help two people a month manage the change. Studies say that every person with a place to lives saves the city $27,000 in police work and other costs. A Cabela's near Fort Worth, Texas. The Oklahoma City Economic Development Trust is considering helping an outdoor sporting goods retailer come to Oklahoma City. 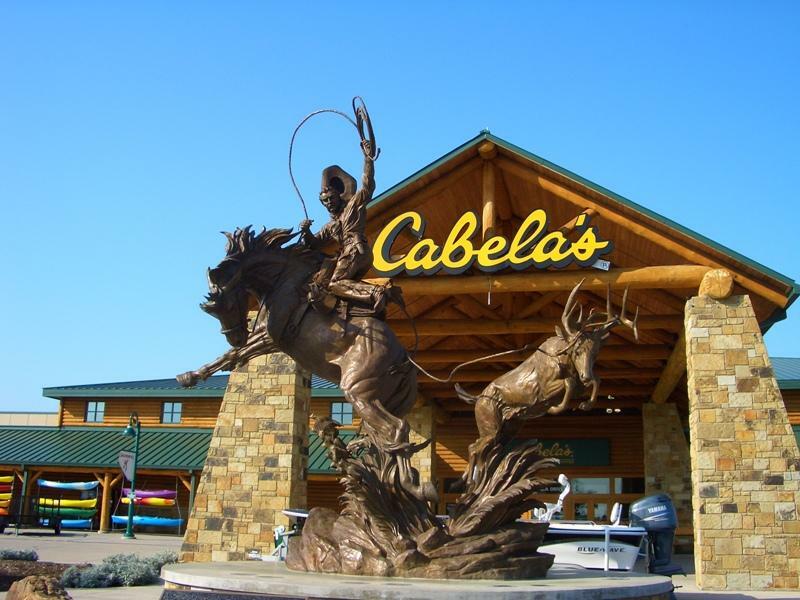 The Alliance for Economic Development wants to lure Cabela’s, a competitor of Bass Pro Shops. Members of the trust said they want to take time to make sure the deal makes sense, but it could be a chance to increase sales tax revenue. When Bass Pro moved to Bricktown, it received $19 million dollars in assistance. The Oklahoma City Council has approved a liquor license for a gun range. 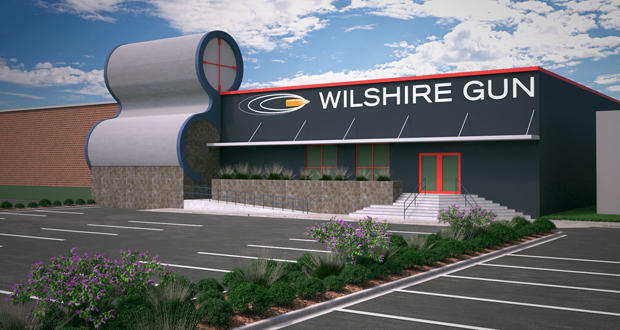 The Wilshire Gun Range wants to offer 24 firearms lanes, 10 archery lanes – and a café with alcohol. The owners of the range say that people will have to scan an ID before shooting or ordering a cold one. Customers wouldn’t be allowed to use the range after drinking. Wilshire Gun still needs a license from the alcohol commission. The buffalo corral near Bricktown, Oklahoma City. Two groups are hunting buffalo in Oklahoma City. Downtown OKC Inc. and the Nature Conservancy want to locate about 50 fiberglass sculptures that were painted and displayed starting in 2004. The project raised money for the conservancy. Some of the colorful bison have been well maintained, others have been sold, and some are just lost. 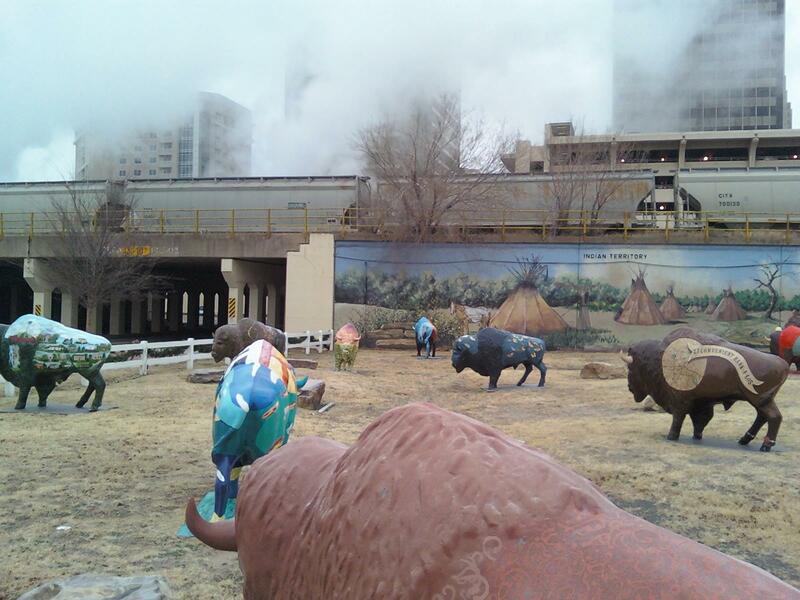 Downtown OKC said it would like to refurbish some of the animals. Nearly 4,400 homeless Oklahomans were identified during the 2013 statewide count of homeless people, reflecting a slight decrease over two years ago, according to numbers released this week by state officials. The statewide Point-in-time Homeless Count, which is conducted in January and mandated by the federal government every two years, seeks to identify each state’s homeless population. 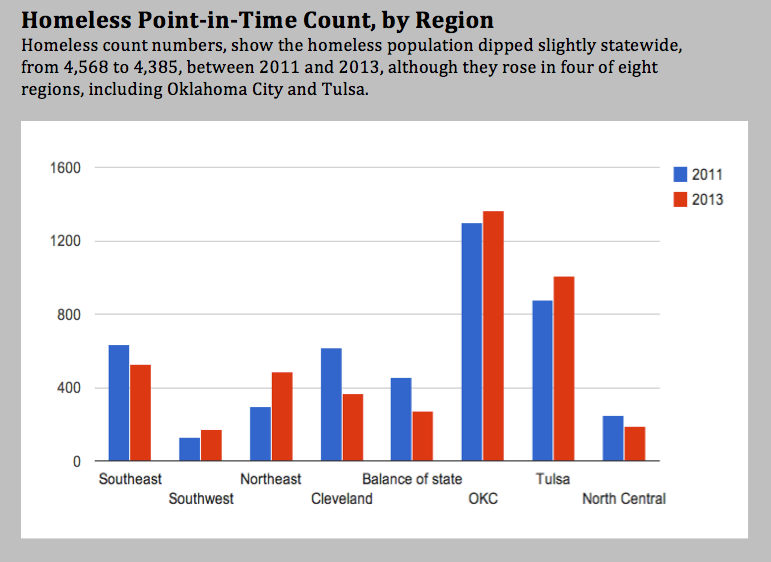 Some cities, including Oklahoma City and Tulsa, also do homeless counts in other years, but the statewide count is biennial.